Shopping for Masters of the Universe Statues? Man-At-Arms is the primary title of Duncan, an adviser to the Eternia Royal Guard, Teela's foster father, and close friend to Prince Adam. 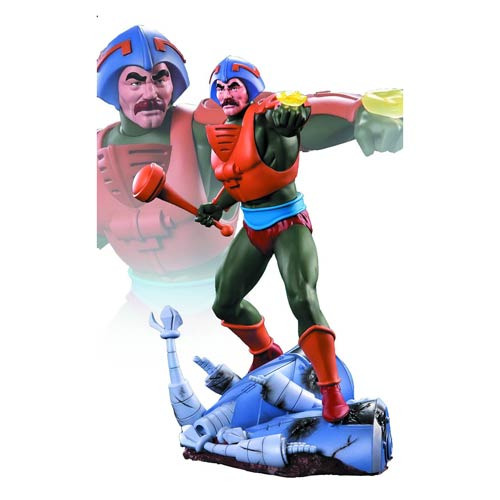 This expertly crafted 17-inch tall statue depicts the Filmation version of Man-At-Arms standing on a base of recently defeated Hover Robots. Marvel: Contest Champions Howard Duck 6-Inch Pop! Vinyl Fig.